Ron and Maggie Tear Photography: Fleetwith Pike. 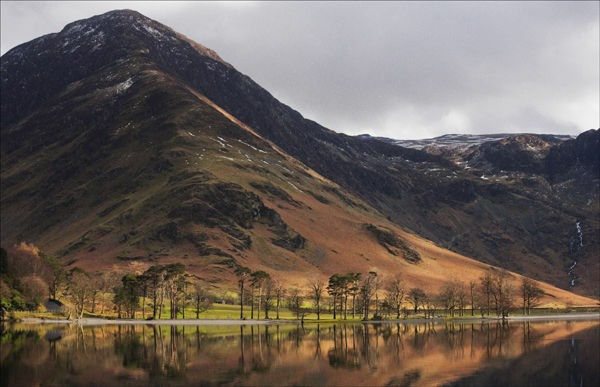 This mountain dominates the Southern end of Buttermere. Notable for a white cross monument to a fallen climber. Here in full spring regalia the fresh greens trying to impact the landscape. The Pines and the stillness accentuated by the light.